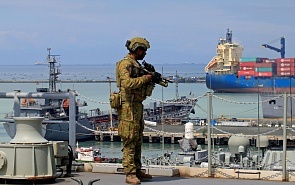 As a strategic conception, the Indo-Pacific strategy is perceived with certain difference by its major participants, including the U.S., India, Japan, Australia and ASEAN states. That is to say, under the common term of Indo-Pacific strategy, these states see it differently; their priorities and goals are not quite the same; and their attitudes and approaches are differentiated. Here below by Indo-Pacific strategy I mean that of the United State. Although the Indo-Pacific idea has been circulating in the academic and official circles for many years in some countries, as a formal strategy of the United States it has been formed only from the end of last year, after the president Trump’s speech in Da Nanan, Vietnam in Nov. 2017, where he introduced the strategic concept of the Free and Open Indo-Pacific Strategy. The first detailed official elaboration of the Free and Open Indo-Pacific Strategy was offered by Alex N. Wong, Deputy Assistant Secretary of the State Department, on April, 2018. According to him, by “free” it means, first of all, the nations of the Indo-Pacific to be free from coercion, that they can pursue in a sovereign manner the paths they choose in the region. Secondly, it means the societies of Indo-Pacific countries to become progressively freer in terms of good governance, fundamental rights, transparency and anti-corruption. By “open” it first and foremost means open sea lines of communication and open airways. Then, it means more open logistics – infrastructure, more open investment, more free, fair, and reciprocal trade. On June 2018 Defense Secretary Jim Mattis explained the Indo-Pacific Strategy from security aspect at the Shangri-la Dialogue, Singapore. Mattis said that the Indo-Pacific is critical for America’s continued stability, security, and prosperity. He explained that the strategy has fours themes. They are expanding attention on the maritime space; interoperability, means strength of the network of allies and partners; strengthening the rule of law, civil society, and transparent governance; and finally, private sector-led economic development. Followed Defense Secretary Jim Mattis, Secretary of State Michael R. Pompeo elaborated the Indo-Pacific Strategy from economic vision in July 2018. He reconfirmed the definition of the concept of “free and open” made by Alex N. Wong earlier. Pompeo highlighted three major areas in advancing economic relationship, which are digital economy, energy, and infrastructure. China treats the Indo-Pacific strategy with certain coldness and suspicions. There are very few open assessments made by high Chinese officials on the Indo-Pacific strategy. Commenting on the US-Japan-India-Australia quadrilateral security dialogue (QUAD), China’s Foreign Minister Wang Yi touched the topic of Indo-Pacific strategy once in this March. Wang Yi said that at today’s world many new concepts disappear so quickly just as they appear. He expressed his hope that the four states could be trustful in keeping their worlds that the QUAD format is not oriented against China. He believes that confrontation policy leads only to dead end. The cold and suspicious attitude of China towards the Indo-Pacific Strategy is explicable. As Jim Mattis noted, the Indo-Pacific Strategy is a subset of American broader security strategy. Surely, it is in accord with American grand security strategy in essence, namely the National Security Strategy, and the National Defense Strategy, released in the end 2017 and beginning of 2018, respectively. In both the strategies China is identified as a strategic competitor and revisionist. ﻿In recent weeks four influential reports on U.S. foreign policy have been published: the Trump Administration’s National Security Strategy of the USA (NSS, December 18); the Department of Defense’s (unclassified) quadrennial National Defense Strategy: Sharpening the American Military’s Competitive Edge (NDS, January 17); Containing Russia: How to Respond to Moscow’s Intervention in U.S. Democracy and Growing Geopolitical Challenge, a report by the Council on Foreign Relations (January 19); and Department of Defense, Nuclear Posture Review NPR, February 2). Though the Indo-Pacific Strategy alleges that it excludes no nation, it’s more than obvious that China is the open or hidden target of it. Defense Secretary Jim Mattis was blaming China’s policy in the South China Sea, saying it stands in stark contrast to the openness of American strategy. Alex N. Wong by emphasizing free, fair, and reciprocal trading regime hints that China abuses the rules, forces technology transfer, steals intellectual property, that harm the United State’s prosperity and the prosperity of the region and the world as a whole. The harsh rhetoric of Vice President Pence both in this Oct. and during his recent visit to Asia in this Nov. has made it even clearer that the US regard China as a strategic rival. Pence warns in an ultimatum way that if China doesn’t come up with significant and concrete concessions in its economic, military and political activities, it will face a cold-war scenario with the United States. The unfriendly nature of the American Indo-Pacific Strategy to China makes Beijing difficult to think about connecting it with its regional integration project, as China did with a lot of other countries. More than that, the Indo-Pacific Strategy has been not limited in economic area, it has political and security segment as well, which is suspected to develop into a regional security institution with QUAD as its basic structure and with the aim to balance China’s growing influence. However, there is great doubt about the possibility of formation of an “Asian NATO” like this. The major partners of the US , including India, Japan, Australia, and the ASEAN states, are against or reluctant in setting up an anti-China bloc; and taking sides between China and the US is the least thing they like to do. Under the conditions that the Indo-Pacific Strategy is unfriendly to China, there is no much room for China to coordinate with the US in this plan, unless China and the US could reach a strategic consensus. But it definitely does not mean that China is in no favor of regional economic cooperation and integration. In contrary, China is a firm adherent and an active practitioner of regional connectivity, including between Asia-Pacific and Indian Ocean states. Regional economic integration and connectivity, including between Asia Pacific and India Ocean regions, is a natural process stimulated by world globalization, and a natural outcome of growing economic cooperation between the states of the two regions, and it’s also an unstoppable trend to these regions for the years to come. As a matter of fact, economically Asia Pacific and India Ocean regions has been connected in certain degree already, and the two regions will be getting closer and closer to each other in future even without the Indo-Pacific Strategy. Till recently, discussions on the Asia Pacific covered the region between Southeast Asia and the US west coast. India was not included. APEC (Asia Pacific Economic Cooperation), which was created in 1989, still does not include India. India was not an original participant in Asia-Europe Meeting (ASEM) in 1996. It was admitted only in 2006. As one of the biggest Asian-Pacific countries, China is the largest trading partner for Indian Ocean states, including India, Pakistan, Sri-Lanka, Australia and ASEAN states. It creates the strongest economic linkage between the states of Asia-Pacific, Indian Ocean and Oceania states. The China-ASEAN Free Trade Area has started to operate in 2010. Some other negotiations on formation of FTA are in process. Under the framework of the Belt and Road Initiative China has been actively promoting regional connectivity, including in and between Asia-Pacific and Indian Ocean regions. Shortly put, what China disapproves is the geopolitical game of zero-sum character and possible political split and confrontation but not economic cooperation and integration in Asia-Pacific and Indian Ocean regions.